Cult UK new wave power poppers THE FAVOURITES have a career-spanning vinyl compilation out next month. 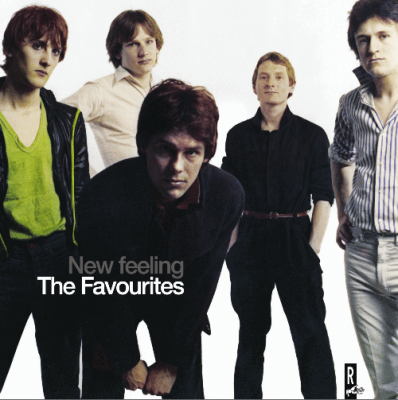 New Feeling brings together both the Nottingham band’s highly sought-after singles plus b-sides and ten other never-officially-released tracks. The release is being trailed by a slideshow video for the track ‘One Of Those Dreams’ premiered here. 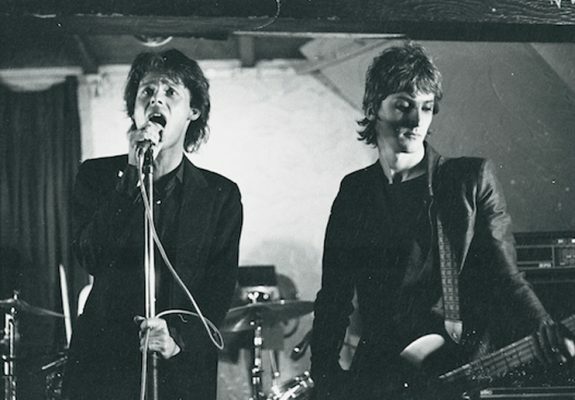 Fronted by future POGUES bassist Darryl Hunt, The Favourites were formed out of the remnants of legendary Stiff Records-signed pub-rockers PLUMMET AIRLINES in 1977. Touring the UK as support to the likes of THE ONLY ONES, THE RICH KIDS, THE VIBRATORS and SQUEEZE, they released two singles in 1979 – covers of ABBA’s ‘SOS’ and London punks THE WASPS ‘Angelica’ – before splitting. While Hunt would find fame by replacing Cait O’Riordan in The Pogues, guitarist Duncan Kerr and drummer Keith Gotheridge would later fetch up in doo-wop hitmakers DARTS. Bassist Kevin Green and guitarist Tony Berrington, meanwhile, teamed up in rockabillies THE DEADBEATS, releasing the classic Vic Maile-produced On Tar Beach album for New Rose – recently reissued through Ace Records. Fully digitally remastered by Sean Read of DEXYS, New Feeling is set for release on vinyl (with a free CD of the album) through Reckless Records on 29 September. Willy Wonka-style, a very limited number will include original copies of the super-rare Nick Tauber-produced ‘Angelica’ single! The album is available to buy in person ahead of the release date at the Reckless shop in London’s Berwick Street. A download version of the album is available to pre-order now through Bandcamp. ‹ CHRON GEN AND 1919 SWITCH LONDON DATE!